In recent years, we’ve noticed some interesting changes in kids’ toys. Many parents are moving away from the mass produced Made in China plastic toys for their children’s health. Others opt for only educational toys that help their children develop skills for later in life. 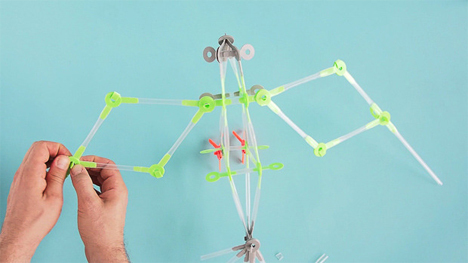 Strawbees is a building system that embraces both of these movements. 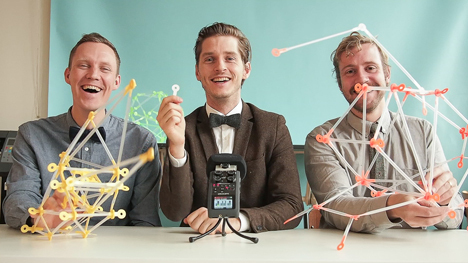 The Strawbees system was inspired a long while ago, when Erik Thorstensson, the toy’s eventual creator was told by his mother to go make his own toy rather than buying him a new one. He realized that toys must be expensive, and he took that to heart. Years later, the idea of inexpensive toys was brought to his mind again as he volunteered in India and watched the children there happily play with clothes pins. 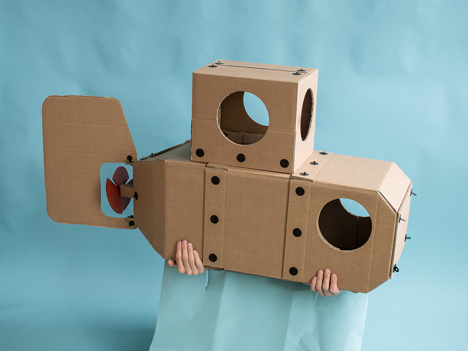 Thorstensson set out to create a play set that was as fun as it was educational. His system is very simple on the surface; it consists of plastic straws, connectors, and cardboard. 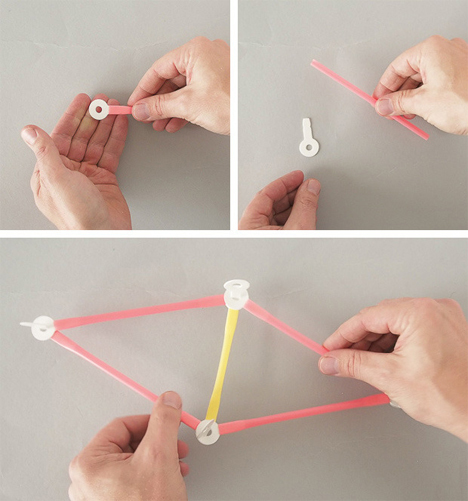 To make objects on a small scale, just the straws and connectors will do. The connectors let the straw pivot and move without coming apart, and the straws can be regular pilfered fast food restaurant straws. You can cut the straws to whatever size they need to be for a project, giving builders a great deal of freedom. If you want to build something on a grander scale, that’s where cardboard pieces come in. 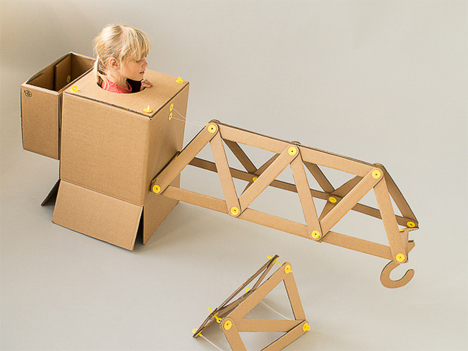 Use the cardboard along with the Strawbees connectors to build race cars, pirate ships, or whatever your imagination can dream up. For more advanced projects, electronics like servo motors can easily be incorporated into the build. 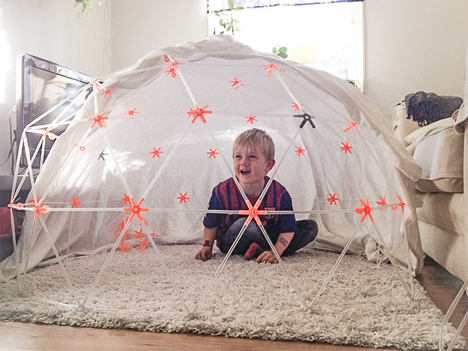 Strawbees is the kind of play set kids (and the grown-ups in their lives) will keep coming back to because it’s inherently educational, but can be used in a completely unstructured way. Kids (or adults) can just pick up pieces and start connecting them without a goal in mind. The more the creation takes shape, the more the builder realizes what works and what doesn’t, and what could be done differently to make the project even better. They may end up with a cool shape, or they could end up building a replica of the Eiffel Tower. The point is to get young hands and minds interested in engineering by showing them that they don’t need any specialized talents or tools to build cool things. The Strawbees Kickstarter campaign raised far more than its initial goal, meaning that the set will go into large-scale production. Creatables, the design team behind the project, wants the set to be used in classrooms and at home to inspire future generations of builders and thinkers. See more in Do It Yourself or under Technology. February, 2014.